The old adage, “two heads are better than one” has been around for centuries for a reason. More effective problem solving happens when you combine resources in talent, experience, finances and infrastructure. Sharing and leveraging those resources means that your reach to new markets increases and re-energizes the connection you have with established clients. Collaborating rules, and as in nature, our social organisations thrive where there are diverse and complimentary systems that enhance the lives other business’s. Understand that your brand is part of a greater whole, and that there is power in that. This month we introduce you to Chris Moorman, Tony Discipline, Actress Kacey Ainsworth, Theo Woodman Smith PR, Fashion from Armine Ghanian and many more influential people. Armine Ohanyan is regarded as someone who is always in search of new materials. She is trying to unify art and nature in her designs. She graduated from Yerevan Academy of Fine Arts (Armenia), as part of her Master’s degree, she did a semester at the Lyon Academy of Fine Arts doing Textile Design as an option. In 2013, she was an assistant pattern maker for one year for the Arasa Morelli designer house in Switzerland. Candid Magazine’s fifteenth issue launched on Saturday the 10th of June over London Fashion Week Men’s, hosted by cover star: Danny Jones, who is one quarter of British band McFly, and also a coach on The Voice Kids alongside will.i.am and Pixie Lott. (founded by Ross Pollard) celebrated the winners for 2017 on the roof terrace of Century Club over London Fashion Week Men’s, as part of the Grooming Room schedule of events. The relaxed-format awards garnered a serious audience, which included individuals from the illustrious judging panel (Hilary Alexander, Rebekah Roy, Elyar, Stefanie Jones, Prince Cassius, Jai’me Jan), award nominees (Joshua Kane, Safia Minney, Sven Segal, Hoxton Radio), media (GQ, Candid Magazine, Marie Claire), industry insiders and quite a few celebrities (Naomi Grossman, Joe Simpson, Charlie Mills, Harry Lee Dobson) from both London and Los Angeles. More of the awards here…. We are pleased to be associated with Fofolles World and looking forward to their event from the 13th – 16th July…. Chris Moorman above tells us how to keep a poker face and much more. 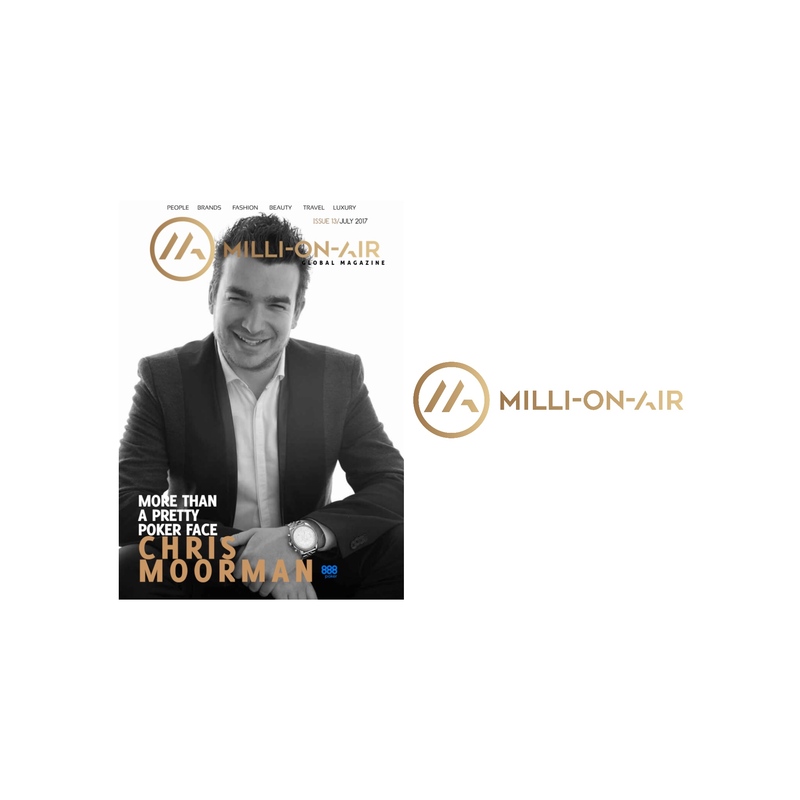 I hope you enjoy the July issue, have a wonderful month, don’t forget to share MilliOnAir wherever and whenever you can.